Residency Requirements: At least one of the parties in a Nevada divorce must have resided in Nevada for a minimum of six-weeks before filing a divorce. 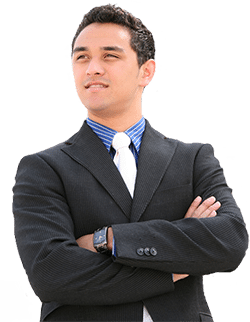 The Court requires proof of your residency in the form of an Affidavit of Resident Witness. The individual who signs this sworn Affidavit in front of a notary must be another Nevada resident who knows you to have lived in Nevada for a minimum of six weeks before the date your divorce is filed. If you are not a current resident of Nevada, and your spouse is not a current Nevada resident, you must first establish residency in Nevada before filing a divorce here. 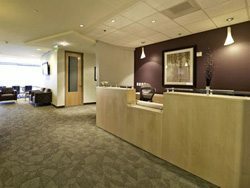 Rent lodging – generally speaking, the court does not require a rent receipt unless your residency is being questioned by the other party in the divorce, however, you might as well obtain a receipt for your lodging should the Court request proof that you actually rented (or purchased) a home in Nevada. This can be as simple as renting a room in someone’s home, as long as you can obtain a rent receipt. The Department of Motor Vehicles (DMV) requires that incoming residents trade in their out-of-state driver’s license for a Nevada driver’s license before the first 30-day period of residency has expired. The Court generally does not ask to see your driver’s license unless you must make a court appearance in your divorce. However, it’s a good idea to corroborate your Nevada residency in the form of a Nevada driver’s license, voter registration (if you vote), rental or utility company receipt (if you rent/own a place where the utilities are in your name) and, or, car registration, if you own a vehicle. If your divorce is uncontested, it’s unlikely you’ll have to appear in court and show as much proof as stated above, though it has occured in the past. If you do not drive, simply obtain an official Nevada Identification card from the DMV. The court does require the sworn Affidavit (signed in front of a notary) of another Nevada resident (known as the resident witness) that states that this Nevada resident has seen you physically present in Nevada at least 3-4 times a week for a minimum period of 6 weeks. Should you have to attend a hearing (highly unlikely if your divorce is not contested), your Resident Witness will be required to appear at the hearing and testify under oath as to your residency. This simply means the resident witness takes the stand, gets sworn in, and then replies “yes” to questions about whether or not you currently reside in Nevada. You must have the intent at the time of your divorce to make Nevada your home indefinitely. This does not mean you are expected to live the rest of your life in Nevada because you obtained a divore here; it means that you must have the intent, at the time you establish your residency, to make Nevada your permanent home and residence. If you have children with your current spouse, and the children reside in Nevada with you, they must have resided in Nevada for a minimum of six months before the Nevada District Court will take jurisdiction over them. Read Here about special steps to take in Nevada divorce that involve children and for exceptions to the above rule. NRS 125.020 Verified complaint; residence or domicile; jurisdiction of district court. (e) If plaintiff resided 6 weeks in the State before suit was brought. 2. Unless the cause of action accrued within the county while the plaintiff and defendant were actually domiciled therein, no court has jurisdiction to grant a divorce unless either the plaintiff or defendant has been resident of the State for a period of not less than 6 weeks preceding the commencement of the action. 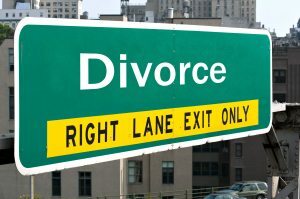 Please go to our Nevada Divorce home page for more comprehensive information for all types of divorces in Nevada. For more info see our Nevada divorce home page.